I was really not into cookbooks at all a few years ago. It may have been because I moved every year to a new place and I couldn't stand lugging them around with me from place to place. It was probably also due to the explosion of food blogs and Pinterest. Recipes were now free all over the internet and I didn't see a reason to pay for them. It all changed about a year ago when I realized two things: 1) I LOVE reading cookbooks, like actually sitting down and reading them (the pictures are amazing as well) and, 2) I wanted to support the authors especially if they started as a blogger and I'd been enjoying their free recipes. So over the past year or so, my collection has really grown. Picking a favorite is hard because they are all so different. I love Seriously Delish and Date Night In which are two books that came out of super successful and beautiful blogs. When we got our slow cooker for Christmas, I picked up William Sonoma's The Quick Slow Cooker and have loved every recipe we've tried. The Pure Food Cookbook has been a great addition to the collection. 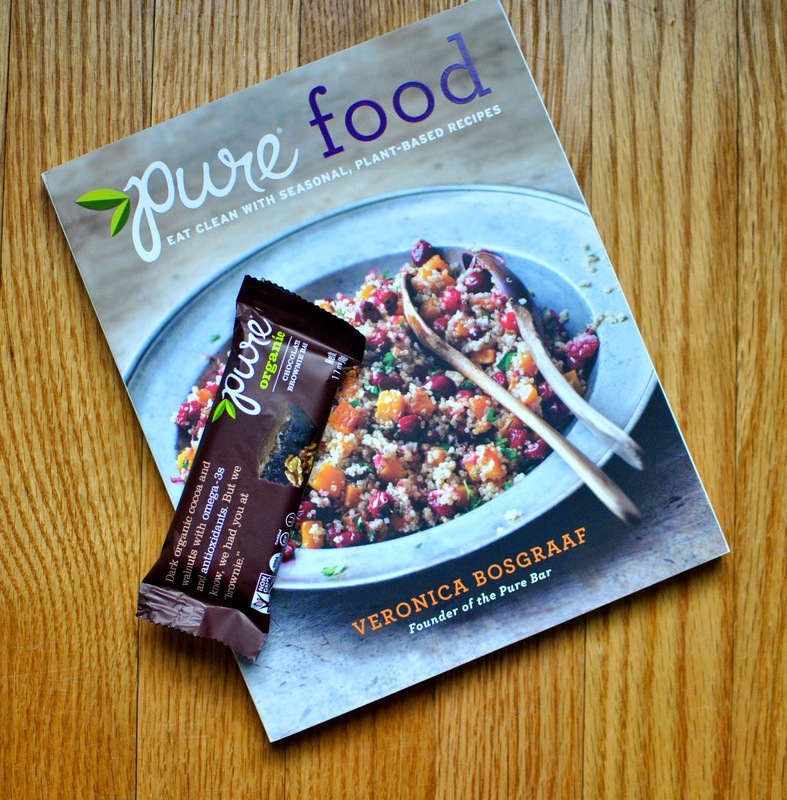 It's written by the creator of the Pure Bar and has a focus on healthy, whole, plant-based meals. I really, really like how it's laid out by month so that you can maximize what's in season and the recipes are geared toward that time of year. 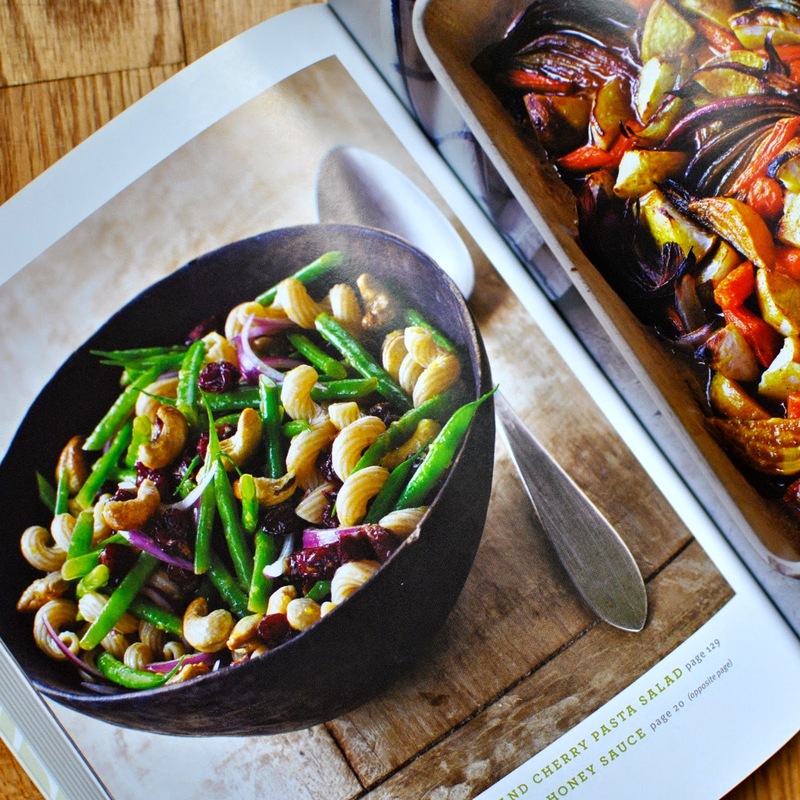 Making healthy food interesting can be really tough but this book has so many great ideas. It is plant-based so it's definitely not C's favorite but many of the recipes could easily be adapted to incorporate some grilled chicken or fish. I love that she also includes snacks, breakfasts, and desserts so it's a complete menu! My only con is that I wish there were more pictures in the book. There's a section in the middle with select images but I love when you get to see every recipe.